After seeing the post on Ruffled Blog, Elizabeth over at Bridal Musings contacted me about featuring Corina and Miles’ wedding “across the pond”! 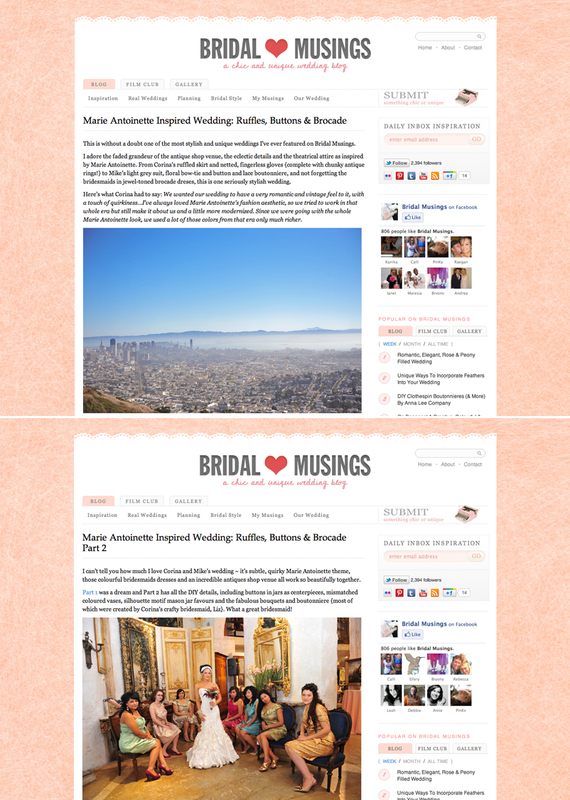 This is my first “international” feature…(smile) Bridal Musings is another great blog full of real wedding inspiration, go have a look at the original post. But be careful…make sure you have plenty of time…Elizabeth only posts amazing stuff, so you will get sucked in! Here’s a link to the original post…click here. …and Part 2, click here. Thanks Robert, it was such a pleasure featuring your awesome photography!